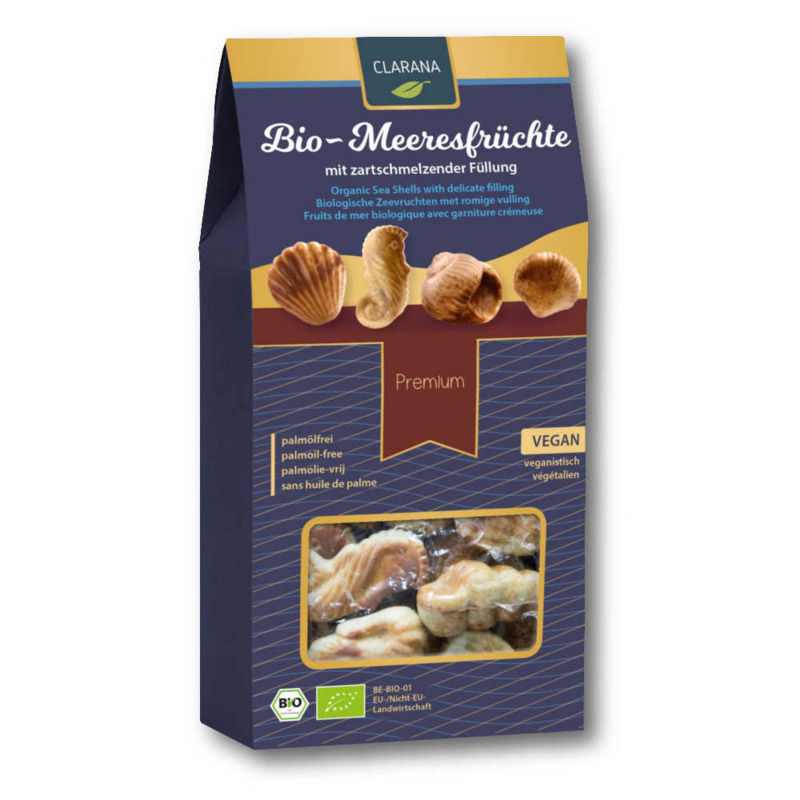 Well, we know, the name of this product is quite speciecist ... but how would anyone find these delicious vegan sea shells if we didn't call these chocolate pralinés "sea shells"? We didn't find a good workaround, so the chocolate shells are still shells. But vegan, and did we mention how goood they are? No one can resist the blend of cocoa and hazelnuts. Or can you? Please store in a cool and dry place. As you might have noticed we didn't label this product as "fair". That's because there is no external audit. But you might also know that we don't want to sell chocolate that's not fair trade. So how can we sell this chocolate? 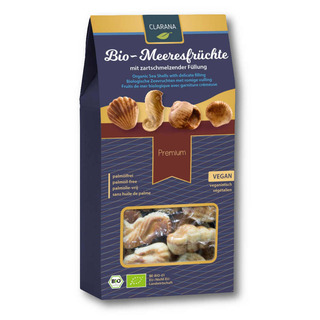 We were in touch with those responsible from Clarana and we were convinced by their quality management and the thoughts they put into their supply chains and the origin of the raw products they use. So there is no external audit but we believe that the production of the raw materials meets our criteria anyway. May contain traces from edible nuts, soy or milk.